First of all, I want to wish a Happy Thanksgiving to all of my American readers! I hope your tummies are full of turkey and that you all had a wonderful day celebrating all that we have to be thankful for. I am so grateful for my blessings, my beautiful family, a roof over our heads, food on our table. And I am grateful for all of you who come to visit here at The Shabby Nest. 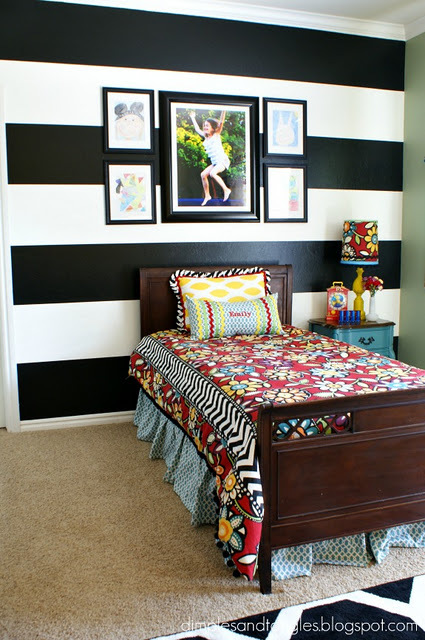 The fan favorite from last week was Dimples & Tangles Girl's Bedroom Reveal. I love this room! Bold colors, fun details. Perfect for a spunky little princess! First up, The Rooster and The Hen shared their beachy glam master bedroom makeover. 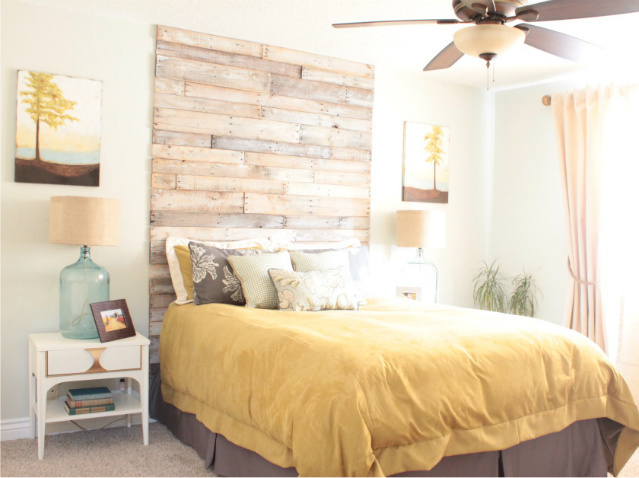 I'm loving that DIY palette headboard/wall. Such a fun way to lend a lot of character to a room for a small investment! Next, I am completely enamoured with the stencilled claw foot tub shared by Kammy's Korner. Makes me wish I had a tub to stencil. sigh. Finally, I Craft with Love shared the most adorable book page Christmas Trees I've ever seen. I'm going to have to try my hand at these this year. Just too cute! Thanks for hosting, and Happy Thanksgiving. We love the things you've picked out for this week. Aren't they gorgeous? This is our first week linking up at your party, which we're very excited about! We've linked up our Beginners' Guide TO gilding Part 1, which we're so enjoying putting together. I love the features you chose for this week....Thanks for hosting and I hope you had a beautiful, wonderful Thanksgiving. Thanks for the fab party as always! I linked up an incredibly frugal ($15) Goodwill dresser that need some love...and got it!--#211. Hope your Thanksgiving was relaxing and yummy! Thanks for the feature Wendy! I hope you've had a wonderful holiday weekend with your family. What a fun surprise to see us featured on your site, thank you! Just today we learned we share a mutual friend, small world!